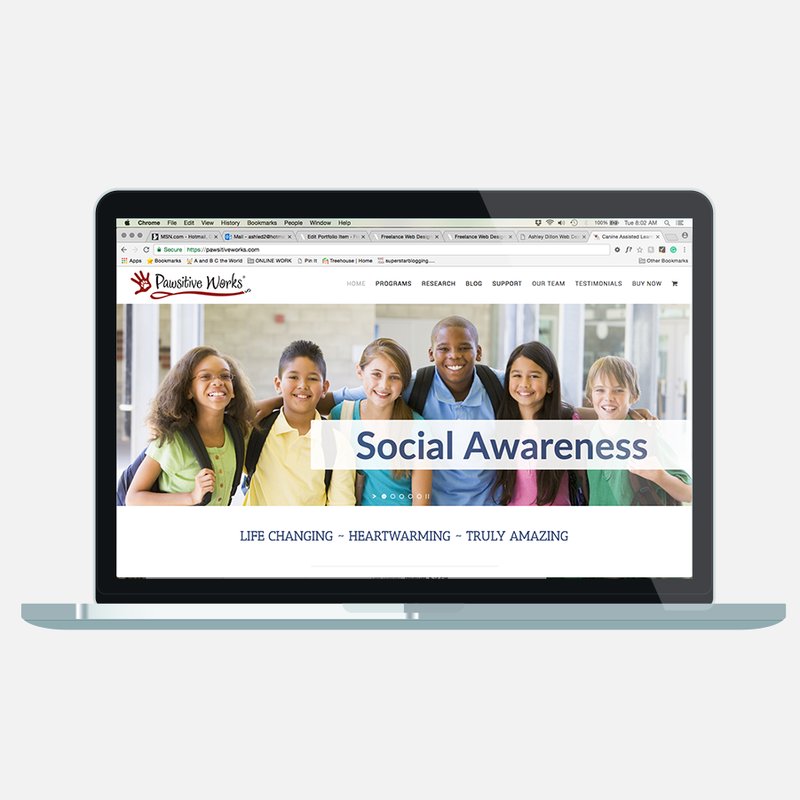 Pawsitive Works is an organization that teaches Social Emotional Learning to k-12 students. Lessons and activities engage students by introducing a canine concept. That concept progresses to humans and ultimately bridges to themselves. By first introducing a concept through the lens of a canine, students are more trusting, open and willing to share their thoughts and emotions. 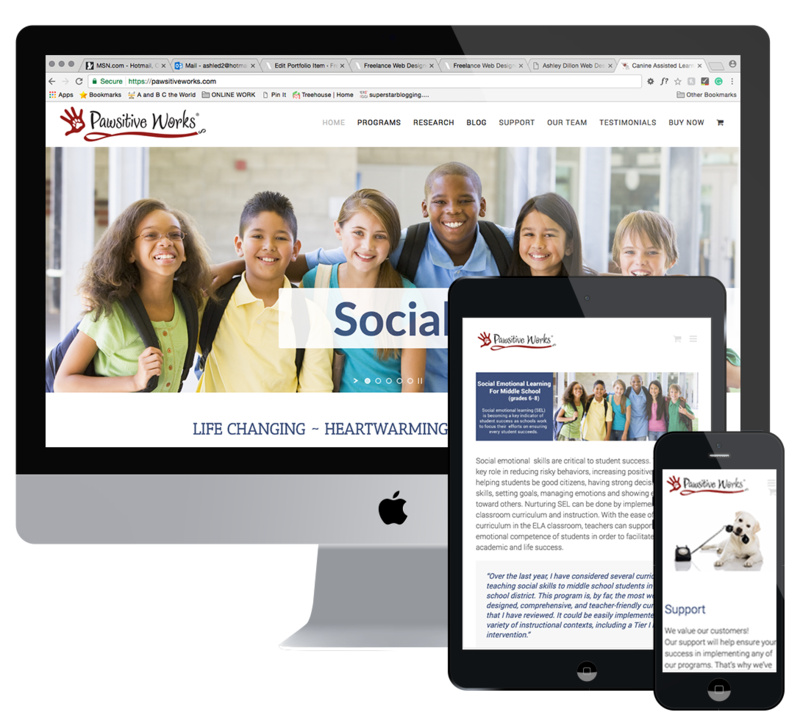 Pawsitive Works hired me to make their vision for their website a reality. 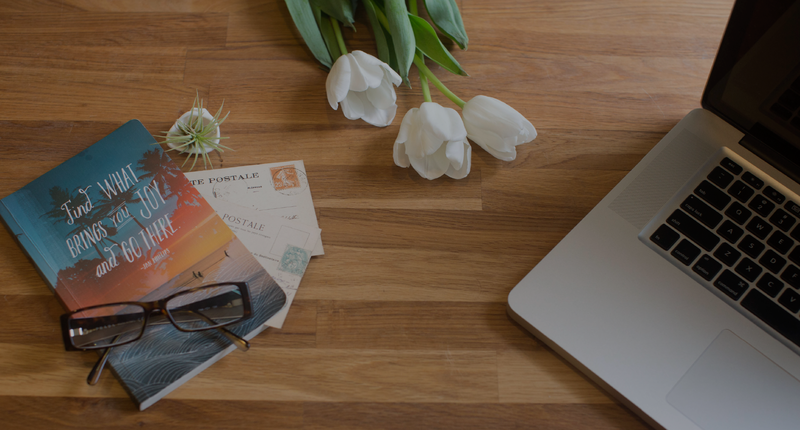 I developed their website with Avada on WordPress.